In OSPF, we can have an area that is not directly connected to the backbone area by using the virtual link feature. If somehow, OSPF authentication is enabled in area 0. Routers that is connected through a virtual link must have the authentication configured too. This is because the router believe that it is directly connected to the area 0, and since routers in area 0 authenticate themselves for communicating, the virtual-linked router would no longer able to communicate with the routers in area 0. NUMBER: the area number where both virtual-linked routers reside. A.B.C.D: the router-id of the peer router. NUMBER2: the id number of the digest key. WORD: the authentication password used. We need to configure the command "area 0 authentication message-digest" on R3 to avoid authentication type mismatch error (Type 0 - Null authentication on R3, and Type 2 - Message Digest authentication on R2). This is because a virtual-link is a tunnel that makes as if R3 is directly connected to area 0, and since area 0 is configured with message-digest authentication, therefore R3 should be configured to use message-digest authentication too on area 0. To configure PPP Multilink connection is first go to your serial interfaces that will participate in your PPP link perform no-shutdown and change the encapsulation to PPP. NUMBER: this could be any unique number you want to identifiy the multilink interface. NETMASK: the subnet mask for the IPv4 address. Next, you want to configure something that can link your logical multilink interface to your physical serial PPP interfaces. This something is done with the multilink-group command. Type the following command at your multilink and physical serial interface configuration level. NUMBER: the number of the multilink group. The number configured should be the same at the multilink interface and the physical serial interfaces. There are 5 network tpyes in OSPF. They are: NBMA (Non-Broadcast MultiAccess), Point-to-Multipoint which are RFC standard and Broadcast, Point-to-Point, Point-to-Multipoint (static) which are Cisco proprietary. The default network type for interfaces in OSPF for multipoint network or when you are configuring Frame-Relay on physical interfaces is NBMA. The characteristics of NBMA network type are there will be DR/BDR elections, what has to be noted here is that DR and BDR should have direct connectivity with the rest OSPF router in the network. In NBMA network there will be no broadcast, so that we have to define our OSPF neighbor statically. We only have to specify the neighbors statically at one router (one-way), and the peer router will respond and the neighborship will be formed. Usually, the static neighbor configuration is done at the hub-router. R2 and R3 have no direct connectivity, therefore both of them couldn't be the BDR. We specify the OSPF interface priority of R2 and R3 serial1/0 to 0, making them inelligible for DR/BDR election. Then we can start configuring OSPF. We will use OSPF with process id of 1. You can do the "show ip ospf interface" command to see the network type of serial1/0 interface. Here's the partial output of the command. After entering the command, you can type the "show ip ospf neighbor" command to see that R1 is ATTEMPT-ing to become neighbor with R2 and R3. You might want to wait before the neighbor status becomes FULL. When it comes to FULL, we can verify that the network of R1 loopback0 interface is advertised to R2 and R3 and is listed in their routing table. From the picture bellow, for you who might be wondering why does 192.168.1.1 as advertised as a host route with /32 subnet mask when you expect it to be /24. This is because loopback interfaces are advertised with /24 subnet. 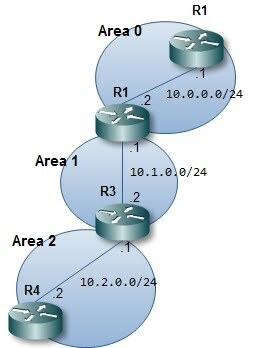 To get a /24 network in the routing table, the OSPF network type of the loopback interface could be change to point-point with the command "ip ospf network point-to-point". Now, if you try to ping R3 from R2 or vice-versa, the ping will succeed. There are some enhancements that you can do for your PPP connection. These enhancements including compressions and reliability. WORD: the type of PPP compression you want to use. Predictor. This type of compression uses more memory than processor. Stac. This compression uses more processor than memory. When deciding which compression you want to use, you can decide based on your router's memory and processor. If you have more free memory than processor in your router, it could be best for you to go for the predictor compression. The same goes for if you have more processor resource than memory, you may want to go for stac. And as you may have guessed, you should configure compression on both sides of the connection for the PPP link to work. VLAN Access Map gives you the ability to control traffic between users in the same VLAN. It is configured in the same way as a route map is configured. If you have VLAN 100 of which subnet is 192.168.100.0/24, and you want to deny access from host 192.168.100.10 to host 192.168.100.20. Here is how you configure your switch. NUMBER: the sequence number of the statement. You can later insert another statements with sequence number lower or higher than your current one. After you enter the “vlan access-map” command, you will be in the access-map configuration level. Here, you can specify what to match and the action is, just like a route-map. If you enter the command match and hit the question mark, you will be listed by two options, ip and mac. You guessed it, you can permit or deny access based on ip address or the mac address. We need to create an access-list, either ip access-list or mac access-list, that match the criteria of what we need to be matched. We will create the access-list later, but here we will configure the access-map to match ip access-list numbered 101. and the action is to drop (the action is either drop or forward. Drop for deny and forward for permit) the packet. 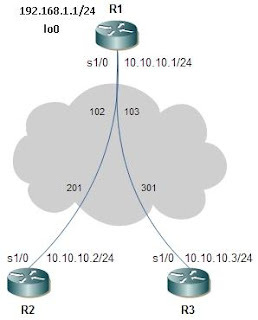 For this scenario, you will want to match the ip of source 192.168.100.10 and destination 192.168.100.20. Therefore, we will create an ip access-list numbered 101 as what it is the access-list number we have configured in the access-map. Exit the access-map configuration and enter access-list command. NUMBER: the number of the vlan you want the access-map to be applied to. You could use a number for the vlan or a vlan list for more than one vlan. There’s another feature other than BPDUguard, called BPDU-Filter, if a BPDU was received by the switch on a portfast port, the BPDU will just be ignored. Not much used anymore. Uplink fast provides a way to make a blocked port change into a forwarding port in case that the root port is down. When a root port of a switch is down, there could be a chance the switch thinks that the root bridge is down, while it’s actually not. When this happens, the switch will send BPDUs with its own switch priority and and MAC address as the root bridge, if this ever happens and received by another switch on which the Backbone fast is enabled, this switch will pro-actively tell the switch that assume it is the root bridge that the root bridge is still alive by sending a BPDU back to that switch with the real Root Bridge ID. If for example you're asked to add a new attribute to the user class in your Domain, you can do this by modifying your AD Schema. Modifying AD schema is not always about adding new attributes, you can also add new class or modify existing ones and also activate or deactivate class and attributes. Before you make a modification to the AD Schema, you have to make sure that you're have the permission to do so. To check this, your account must be a member of the Schema Admin group. Microsoft has provides you a tool to make AD Schema modification. You can access this tool from the MMC. go to File > Add/Remove Snap-in. Click the Add button. Choose the Active Directory Schema from the list and click Add (If you don't see the Active Directory Schema in the list, you have to regist it first by typing the 'regsvr32 schmmgmt.dll' at the Run command or at the command prompt). Click close and the Active Directory Schema utility will be added to the MMC. There's only one domain controller on which AD schema changes can be made, this domain controller is called the schema master. To be able to make changes to the AD schema, this tool must point to schema master. Right click on the Active Directory Schema entry in the MMC and choose Change Domain Controller. In this tool, you can create/modify, activate/deactivate classes or attributes. Let's say that you want to add another attribute to the user class. First, right click on the Attributes and choose Create Attribute, a dialog box will appear warning you that creating an attribute is a nonreversible action. Next, you will see the create new attribute dialog. Common Name This field becomes the Common Name attribute of the attribute. LDAP Display Name This is the string that the LDAP utility will display to users when they access the directory. Unique X.500 Object ID This is the OID you received from the ISO. Description This optional field provides a short description of the attribute. Now, if you ever have to create a new class or attribute, you will need a unique Object Identifier (OID). There are a couple ways to get this OID, you can apply to ANSI which will take time and money (you will have the right to use any OID that starts with your OID) or you can use the script available here (copy the script and paste it into a file with an extension of .vbs or just simply named it oidgen.vbs, then just execute the file to obtain your OID). After filling all of the needed fields, click OK.
Now, to add the newly created attribute to the user class, go to the click the Classes and search for the user class, right click on it and choose Properties. Go to the Attributes tab and click Add. Choose the attribute that you've created and click OK. Then you can verify that the attribute is listed in the optional attribute list box. The next thing is to give values to your new attribute. There are some ways to do this, but one of the way is buy using ldp.exe. It is a tool that is included when you install Windows Server 2003 Support Tools. With this tool you can search, modify, add, delete against LDAP server such as Microsoft AD. Just type ldp on the Run command. Click on the Connection then Connect. Type in the server location, this could be a dns name or ip address. Then just press OK. Next, we have to bind, click Connection then Bind. Type in your username and password which has the permission to modify user's attribute, then press OK. Then click Browse then Modify. In the DN textbox, type the DN for the user which you want to modify his/her attribute. For example, the DN for the administrator account would be something like this CN=administrator,CN=users,DC=srv1,DC=domain,DC=com. In the attribute textbox, type in the name of the attribute that you want to modify. For example, if you want to modify the givenName of a user, type in givenName. Type in the new value for the attribute that you want to change in the Values textbox. Press enter, you can add another new attribute and value again if you want to modify more than one attribute. If you're done then click Run. To verify the attribute modification use the search operation agains AD, press Ctrl+S or click Browse then Search in LDP.